Today, I had one of those weird beauty blogger moments that make an ordinary make up purchase into an 'ohmygod, *HOW* have I not written about this already?' situation. You know what I'm talking about: the non-blogged about repurchase. I'm so excited about this product that I feel like a rambling tale is better than the usual structured review format. You might want to make a cuppa for this one, but if you can't be bothered reading, skip to the end for the summary review! We all know how fickle we can be when it comes to ditching a once-beloved product in favour of a shiny new competitor. They promise us more length on our lashes, more plump in our pouts and skin that could render Photoshop obsolete and we're skipping merrily to the next counter quicker than you can say 'brand loyalty'. It's no wonder beauty ads get bigger, brighter and glossier with every product launch: we're a tough crowd! Anyway, back to my trip to Boots, and a repurchase from a brand I never thought would be up in lights on here. Yup, it's my teenage-years go-to favourite...17! Now, back when I was a gal, 17 was all sparkly eye shadow and what I like to think of as 'training make up'. My Saturday morning trips into Manchester with the girls would invariably see someone selecting a foundation three shades too dark (hello, jawline! 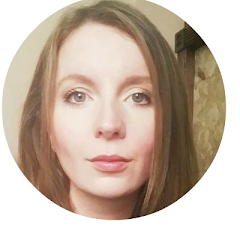 ), *everyone* buying pressed powder and a concealer stick (the Clearasil obviously wasn't cutting it), and me wondering if blue eyeliner might be a good weekend look (it wasn't). Then, with age came a lust for the high end, and I spent many happy years drifting around various department store beauty halls (yes, that's where the name comes from), until the chemist brands got savvy and threw their money behind the endless churn of new products in a multi-million pound game of 'mine's better than yours'. Yet however good the products (mascara, I'm batting my lashes at you), what always let them down for me was the packaging. Often gaudy (they need to stand out), sometimes cheap, and generally none of the luxe/quirky covetability of the higher end brands, I generally only bought chemist-brand make up when there was a make up emergency and I needed something *now*. One such necessity purchase came a few months ago when a friend invited me to a restaurant opening last minute and I had no make up with me. Into Boots I strolled and lo, I spy the 17 rebrand. Charcoal boxes, a nice new font and somehow, the 17 of yore slipped from my memory. This felt grown up, and they were offering products I wanted with names I couldn't resist. 'Photo Flawless Primer', anyone? 3 for 2, you say? So it was that I walked away with an emergency black eyeliner, the primer, and the holy grail and truly magical subject of this eulogy: BB All in One Magic Make Up. I'd been desperate to try a BB, yet they were all too dark. This one was a little darker than my skin, but applied on face and neck, it looked remarkably natural. What's more, the result was an even tone, imperfections were hidden and at the end of the night, it was still exactly the same. I used it the next day, and the next, all with perfect results. After a month, something even better happened: my skin without make up was clearer, softer, more even. For £6.99. Friends made their compliments and then went straight to Boots to buy a slice of the action, and now today, I renewed my commitment and repurchased. My Clinique City Block, Nars Sheer Glow, Bobbi Brown, Liz Earle - all once much-loved - are sitting quietly in the cupboard, and I genuinely don't see a time when I'll need to go back to them. 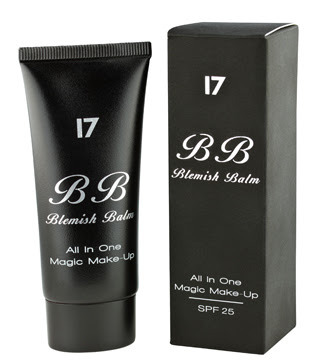 17 BB, you truly are Magic Make Up. Did I mention that it was £6.99? £6.99! 5. Do you need another reason to go and try it?! Well, it can be yours for 699 Advantage Card points if you can't bear to part with the cash! I'm super keen to know whether any of you have ditched your foundation in favour of BB, and indeed, what are your favourite brands? Have you tried 17's? Share the BB love with me and let's see if I can be lured away from this one! I love this so much! The only problem is I tend to finish it rather quickly :( aha definitely a favourite though! Very late to the club craze by a few years! Haha but just bought this today and I am in love with it!! Discovered this two years ago and my skin has never looked better. Used to come in three shades but they seem to have discontinued the dark shade. Anyone know where you can still get it? Oh no, what a shame: it's so frustrating when a great product is discontinued. How about buying one of the lighter shades a mixing a tiny bit of darker foundation in there to get a better colour match?